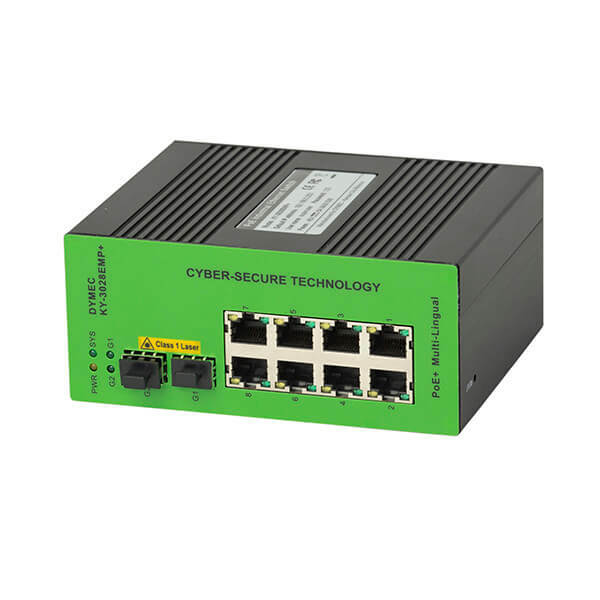 The KY-3028EMP+ is a High Security & High Performance PoE+ Ethernet Switch. 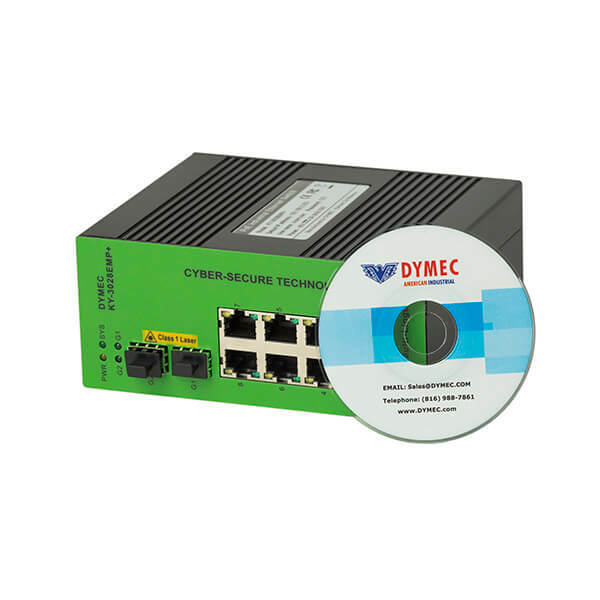 It is equipped with DDMI Fiber Diagnostics for Fiber Maintenance & Troubleshooting. 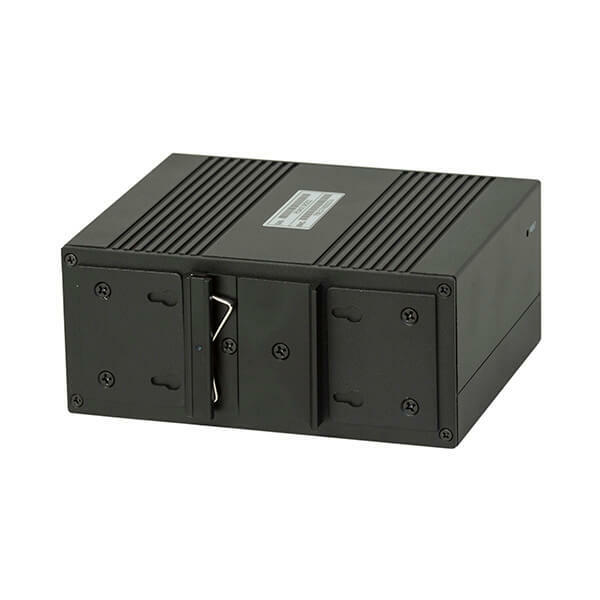 Designed for ruggeded applications and harsh environments, the switch supports the IEEE 802.3 af/at specification. Up to 30 Watts on ALL 8 PSE ports. 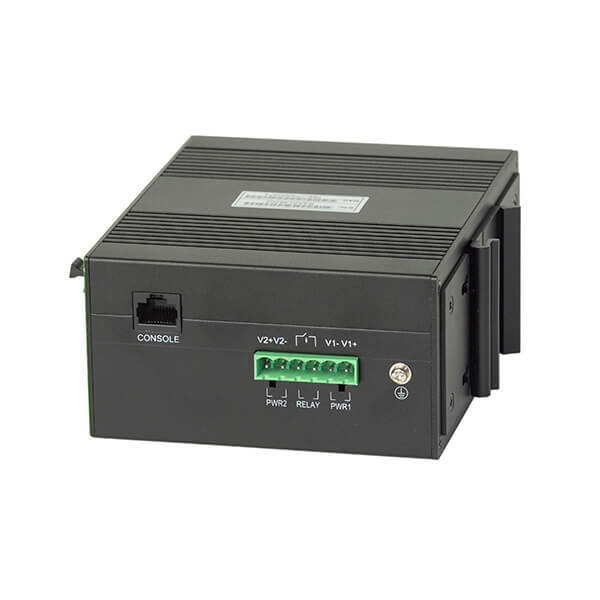 Designed as a rugged switch for critical networks the unit supports DHCP and IEEE 1588v2 Precision Timing Protocoll. 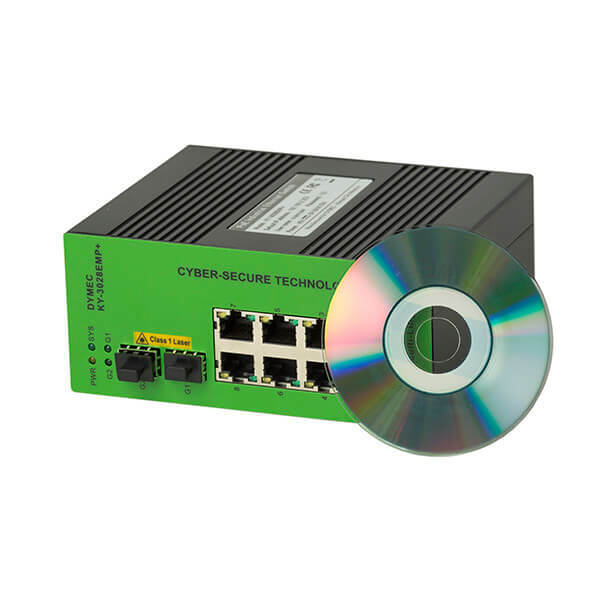 Supports SHA2 SNMP Certificates and Extended Special Character Support for Secure SNMP operations. The switch operates in both the English and Spanish languages and can be changed with the push of a button. Extra long switch description & location labels. Each port can be fully labeled and described. This is a Class I Div 2 Hazardous location product.